Julia and Jim Binney would like to welcome you to our web page. We call it ‘therevjs’ because this is how people often refer to us simply because we are both ordained and accredited Baptist Ministers (currently serving God at Abbey Baptist Church, Reading) and therefore we are both ‘Revs’, and the initials of our respective first names both begin with the letter ‘J’. What you will find here is something about us – some factual stuff, what we think of each other, and what other people think about us! The ‘News and Views’ page contains the various ‘blogs’ we both write from time to time. These also contain some news about what we are up to, often accompanied by our reflections on this, although our Facebook and Twitter pages are better places for our ‘up-to-date’ news. There are some more serious things that we have written, and some less serious things such as our experiences while camping in France – ‘A Month in the Dordogne’ and ‘A Month in Provence’ – which you will find above. In the ‘News and Views’ section you will also find a hopefully interesting (and often amusing) ‘daily journal’ covering our month’s sabbatical visit to Israel-Palestine (from the end of September to the end of October 2012), and our equally amusing and informative daily journals covering our 10 day visit to Nice entitled ‘Nice in Nice’ (from the 7-18 May 2013) and various other camping holidays as well. There is also the odd photo or six. We hope that you will enjoy reading the various bits of it, and find what you read helpful in one way or another. If you are the praying sort, please remember us in your prayers. And if you would like to contact us you can e-mail us at jimbinney@outlook.com and juliabinney@outlook.com or you can find both of us, individually, on Facebook and Twitter. Thanks for your message. Sorry to be so long in replying. It was lovely to meet you and we enjoyed your companionship. 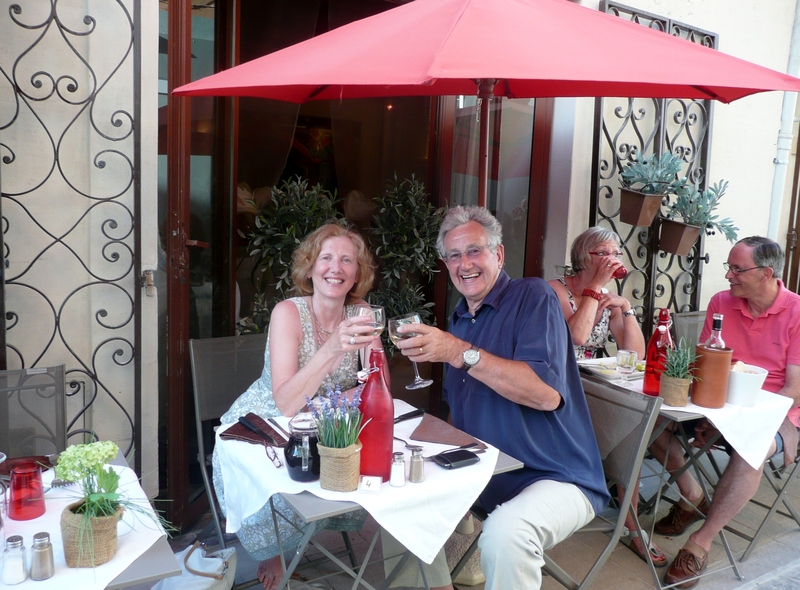 We had a great time in the Camargue although it was very hot. Back home now … holidays over for the time being. Please stay in touch. You have our email addresses. it has been most interesting to catch up with all that you have been doing in recent years. I wonder how you find time for so many activities. From your photos you look very much the same as you both were when you were at FFBC in the 1990s. My best wishes and prayers for you at your church in Reading. I am still into prayer and will remember you both.